Actually, it doesn’t stand for anything, but it might as well, given how much US literature and history is going to be incorporated into the new exam. While the Old SAT was famous for using passages that would put dictionary-writers to sleep, the new one is using major documents from US history. Let’s see if we can use this information to improve our scores and better prepare for the test. This is a noteworthy shift from the Old SAT, and from the current ACT. The former did not have this element of predictability, and the later still doesn’t. Now, standardized tests are inherently predictable in their question structure and subject matter, but anything we can do to have precognition of the specific passages and focuses will make the test more familiar and friendly to us. The SAT drew passages “from college-level reading sources and [were] adapted to make them fit easily into the 700 words or so” as Lucas Fink says in another Magoosh post. But as most high-school students are not huge consumers of “college-level reading,” there’s a low likelihood that test-takers would have seen the material previously. Among the myriad discussions of the impact of “only four answer choices” and praise for the elimination of the “guessing penalty”* there is no mention of the starkest change: the College Board has given explicit indication that it will draw new passages from US-centric documents. On each assessment, one passage will be drawn from a U.S. founding document (a text such as the Declaration of Independence, the Constitution, or the Bill of Rights) or a text that is part of the Great Global Conversation (a text such as one by Lincoln or King, or by an author from outside the United States writing on a topic such as freedom, justice, or liberty). While The Great Global Conversation sounds like a mildly interesting YouTube live-stream event, I fear the truth is more along the lines of, “how do we be the change we want to see in the world?” or some other quote you’d expect to see on your High School Counselor’s cat poster. 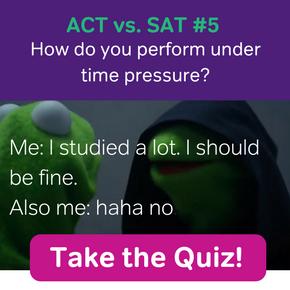 The more predictable the SAT is, the easier it becomes. And now, The College Board has told us exactly what to expect on the reading section. How can I maximize points, using this? Take AP US History instead of AP European or AP World History. 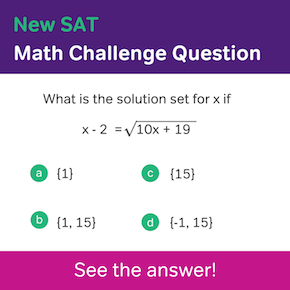 For the first time, a high school class besides math will have a direct applicability on the SAT. Students who spend a year studying US History will have a very high likelihood of encountering a passage that will appear on the SAT. If you haven’t seen the specific passage, then chances are you at least know the context of it. Imagine studying US history and then seeing a letter written by Martin Luther King, Jr. Even if you haven’t seen the letter before, you know so much about the context of the life and times, that you will have a clear advantage over students who do not have that same body of knowledge. Need a quick refresher on your US History? Start here, and then skim this list of documents which I predict the New SAT will draw from for its reading passages. 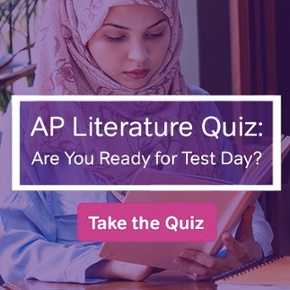 By making sure your curriculum is rich in material that is likely to be on the SAT you improve your likelihood of success in both the AP US History test and the SAT, as the overlap will make you stronger in both. *The elimination of a “guessing penalty” is of no benefit to test-takers, as the test is scaled, and this change effects all test-takers equally. For example, if an accuracy level of 75% used to scale to the 95th percentile, now an accuracy level of 80% will scale to the 95th percentile. The 5% gap in accuracy will be the 5% gained by guessing. 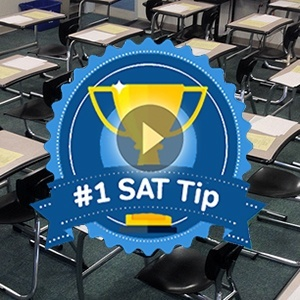 [Video Post] What’s on the SAT? Matthew Larriva is an Ivy League graduate and an expert of test prep, test taking, and the pre-college process. In addition to publishing two books on test prep, Matthew is the founder of Powerful Prep, a leading concierge tutoring firm, dedicated to transparency, massive point gains, and customized curriculum. The program has been featured multiple times on CBS as the premier test prep program in the LA area. He has passed two of Degree Library's 10 Hardest Exams in the World including the Mensa admissions exam, and the CFA exam--the test The Wall Street Journal called the world's hardest test. He enjoys skydiving, and has played oboe at Carnegie Hall twice. Feel free to reach out with any questions about test prep or the pre college process. Matthew loves to see students succeed regardless of whom they prep with.